Environmental damages through besmirching natural wealth remains a major cause of concern today. Acid mine drainage is one such problem which seeks instant and appropriate solution to save hundreds of thousands of lives throughout the world. Also denoted with names such as acid and metalliferous drainage (AMD) and or acid rock drainage (ARD), it remains a crucial matter to handle in the current context. It is obvious that with an outflow of acidic water from the metal mines especially of coal mines, mining water pollution would be witnessed. Know about such terrific scenario to find out genuine solutions which ensure overall safety of human lives. It will be possible through safeguarding our environment. African region commonly faces the above mentioned scenario. Resultantly, it often causes wastewater pollution. Common chemical reactions usually occur due to acid sulfate soils disturbances as well. As African region has ample coastal and estuarine conditions due to extreme sea level rises, witnessing such hazardous environment remains common. It is well understood that sub-surface mining always occurs below the water table. In such scenario, the cases of constant water pumping out of mines is usual. As it has been witnessed many a times, it might even cause flooding scenes due to the cases of regular acid rock drainages. It is therefore mandatory to explore effective water contamination solutions in such situations while common mine waste rock dumps or coal spoils are primary sources of acid mine drainages. South Africa has been witnessing such scenes since decades. The common hazards from metal mines are generating of highly acidic discharges. As South African region has several copper mines, one often witness the acid mine drainage in the region. It propels for prompt action for the betterment of water sanitation systems to suppress all sorts of environmental hazards. Regular scientific exploration of acid mine drainage and mine reclamation sites go on in various such sites now and then. Researches evaluate both the positive and negative impacts of extreme environments due to such scenarios. 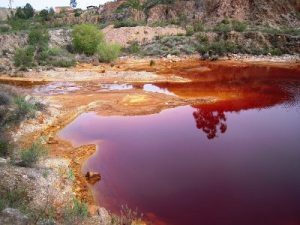 Africa’s West Rand Goldfield, Witwatersrand and South Africa region is usually researched for the worst effects to human lives due to acid mine drainage. 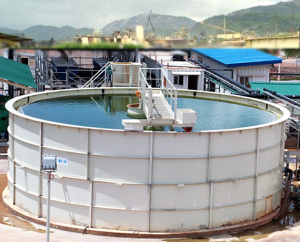 Why Water Treatment is Mandatory? 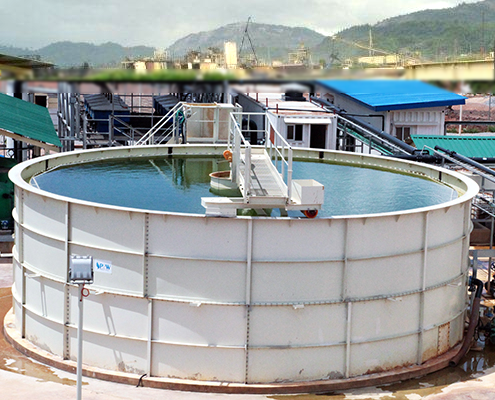 Water treatment is an important step to avoid water contamination cases. It is more crucial to reevaluate water sanitation systems in the areas which face the problem of acute acid mine drainage. Implementation of successful water treatment projects in the Africa nations especially Zimbabwe, Zambia, Mozambique, Angola, Botswana, South Africa, Liberia, the DRC, Tanzania and Nigeria to name a few has become mandatory in the current scenario for environmental cleanliness. It will pave the way for safe drinking water solutions. Furthermore, water contamination solutions like preferring state-of-the-art packaged water treatment options can be perfect choice to rely. The need is to explore robust and planned treatment plants in the African region for environmental betterment. Treatment solutions can be initiated through keeping in consideration many factors including sand filtration; chemical dosing and water softening to an appropriate water filtration option. Such arrangements will have direct impact with disinfection. They are always helpful for safe water procurement. An unanswered question is that despite robust economic growth in several of the African countries due to their mineral resources why they are still at the bottom of human development index. Perhaps, wastewater pollution is a major reason. The ardent need for such countries is to focus on enhancing technical and regulatory capacities. It will prove a catalyst for the region. They can easily come out of their basic problem of human development through safe drinking water’s availability. The need of the hour is that all respective governments in the African region take sincere steps to empower Africa with implying genuine solutions. 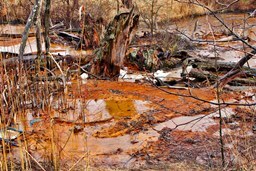 They can avoid all sorts of mining pollution cases through such attempts. While bringing awareness amongst the masses to spread the benefits of mineral wealth, government agencies must also equally focus on training to all concerned to find efficient strategies for the environmental safety and security solutions. Until and unless social and environmental impact of natural resources exploitations aren’t highlighted on the global foray, Africa is bound to face the major challenge of water pollution. Even though some of region’s nations have gained sustainable economic empowerment, they remain far behind due to the rampant acid mine drainage case. It effects human lives directly or indirectly. P2W (Pollution to Water) has provided a proven and working wastewater technology for treating the damages and contamination of AMD on a local, regional and national level. Our complete wastewater treatment plants provides a complete solution without causing secondary pollution treating heavy metals, sulfates and other pollution as well. Please contact us and our wastewater treatment expert will get back to you shortly.